Megan and Rebecca met the way all best friends do: waiting in line for 8 hours during the middle of a snowstorm to score front row spots at an Ed Sheeran concert. 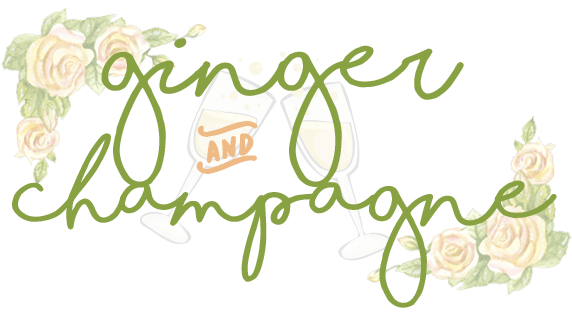 Their shared love for writing and using the written word to empower and inspire led them to create Ginger and Champagne. Follow G&C on Facebook and Instagram! Rebecca is a 23-year-old writer and editor who graduated from Miami University. She’s passionate about intersectional feminism, travel, astrology, and country music. Her life goals include reuniting One Direction and playing Merida in a live-action production of Brave. You can follow her on Twitter @rebeccacclark and Instagram @rebeccaclark7. Megan is a writer from just outside of Chicago. She has an unhealthy obsession with requesting things from her local library, believes that if something can sparkle, it should, encourages solo ABBA dance parties and can talk until your ears fall off. Her goal is also to reunite One Direction and dreams of seeing her name on bookstore shelves around the world. Or her name in lights on Broadway. Whichever happens first.